The Hino 195-DC is the double cab configuration of the 195. The 195-DC gives room for your whole crew without sacrificing the maneuverability you need to get in and out of tight workspaces. 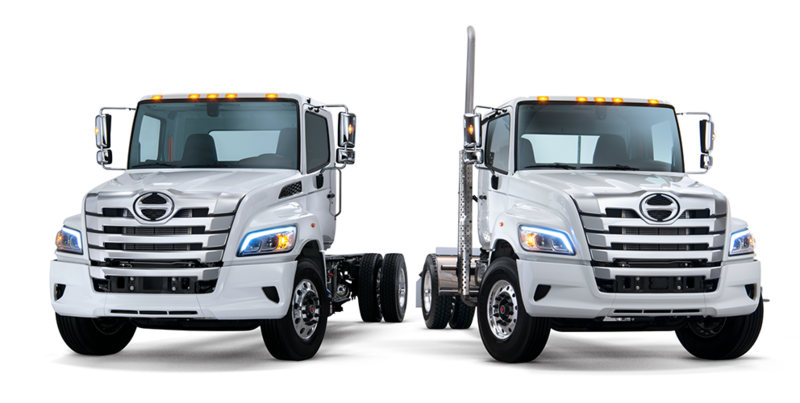 The 195 / 195-DC is available in multiple wheelbase configurations and boasts unsurpassed durability with a 56,900 PSI standard frame strength. 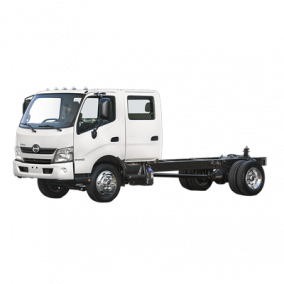 This translates to versatility and assurance that your local Hino Trucks dealer can right size your trucks to precisely fit the needs of your company. Strong, Straightforward, Dependable. 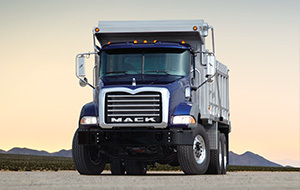 Here's a better way to build a cab - high visibility, great comfort and super low noise levels. All-in-all, it's a great place for a driver to spend the day. With Toyota inspired interior design our cabs offer a complete package of the most necessary features and then kept it simple and serviceable. Your drivers, technicians and accountants will love it. 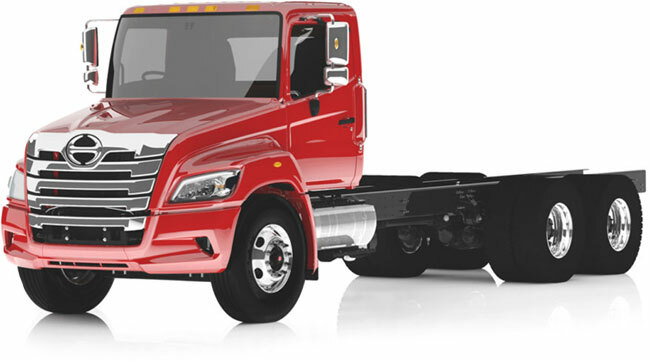 Every Hino truck is equipped with, and supported by, the Hino Insight platform. That means you have instant access to business intelligence and Remote Diagnostics with Case Management that not only increases profitability and fleet & driver efficiency, but reduces downtime and operating costs. 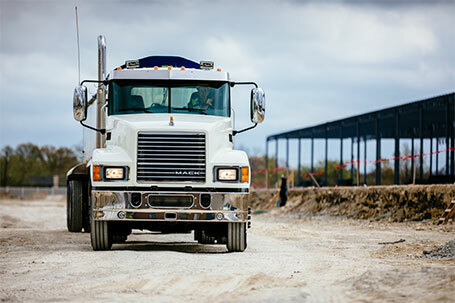 With INSIGHT Telematics, you can monitor idle times, heavy breaking, speed, location, distance traveled and much more. INSIGHT Remote Diagnostics will alert you, your dealer and Hino in the event of a DTC and we will direct you as to next steps and urgency. INSIGHT Case Management will streamline the service process with appointment co-ordination and service progress updates.